If you've ever used a personal digital assistant like Alexa, Cortana, Google Now or Siri, then you're familiar with voice search, a technology that uses speech recognition and allows a user to speak a search query into a device. Results are returned in a device-optimized format on a screen, or as audio results vocalized by the personal digital assistant. People tend to interface with voice technology differently than how they approach interactions using keyboards, and even when results are presented outside of a web browser, many of the results retrieved come from the world wide web. By 2020, half of all Google searches are expected to be voice-activated queries. 50% of B2B search queries are made on smartphones, and voice search is used the most on mobile devices. The Google search app gets 30X as many action queries by voice as by typing. In the United States, voice commerce reached $1.8 Billion in 2017, and is expected to grow significantly. Voice searches on mobile are three times more likely to be local-based than text queries. So it's worth the effort to maximize your local SEO by making sure your business information is added to authoritative services like Google Business Center, Apple Maps and Yelp. These services assist heavily in optimizing the delivery and presentation of results from voice search. It's worth noting that the structured data (more on this below), needs to match up with the information you provide these services with in order to maximize effectiveness. Discontinuity between the data can have a negative effect. 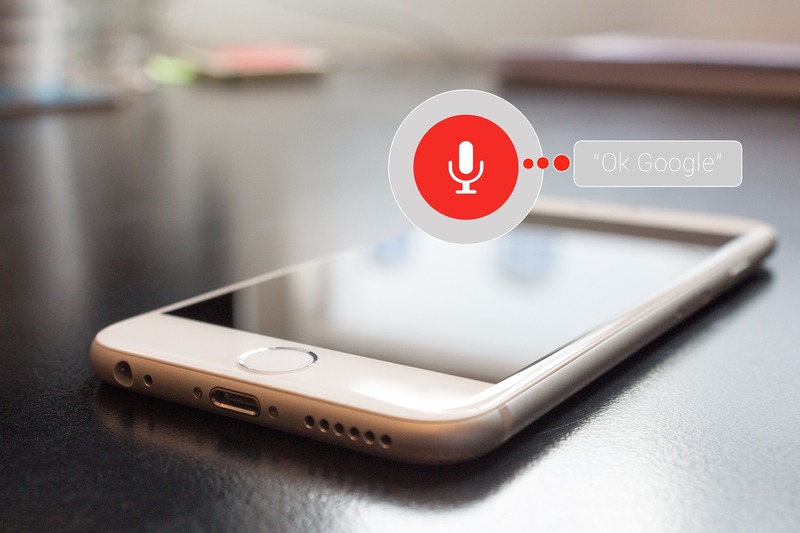 Since voice search queries are delivered in a more conversational way than the typical keyboard query, it can be easier to derive a user’s intent. Google breaks down intent to four basic moments for the user, which, in a nutshell is “I want to know …, go…, do…, buy….” Google dubs these "micro-moments." Users speak queries differently than they type them, so it’s a good idea to use more voice-friendly keywords. Voice search has more to do with natural language and intended meaning. Keyboard-based queries typically utilize one or two keywords, such as “lasagna,” or “lasagna recipe.” In order to optimize for voice, try using longer, more conversational keywords, including question phrases as users often approach their personal digital assistants using who, what, when, where, why and how. For example, “how do I make lasagna,” or “what is the best recipe for lasagna?” This can aid in appearing in screen search results and can also be used as short answers that are returned via voice by Google Home, Alexa and HomePod. Structured data is a tool that allows you to add explicit clues about the meaning of a page so that search engines can derive more meaning. 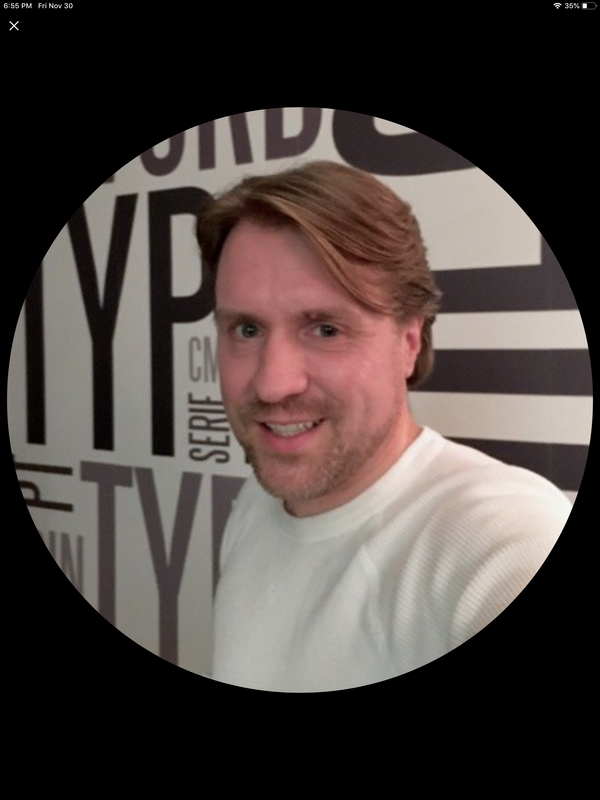 Without structured data, a web page is typically just free-flowing text, which makes sense to users, but less so to search engines and other software applications. According to Google: "Structured data is a standardized format for providing information about a page and classifying the page content; for example, on a recipe page, what are the ingredients, the cooking time and temperature, the calories, and so on." Schema.org is a great resource for utilizing a vast library of available properties for many different domains. One of the benefits of structured data is the ability it lends search technologies to present the requested information in a helpful layout. Below are examples of domain-specific layouts that take cues from structured data. Search for a specific car and you don't just get a list of blue links, you get a profile widget or the car's specs, something Google calls "rich results." When searching for business entities, iOS will include images, reviews, distance, location, whether or not a store accepts Apple Pay and other pertinent information. Search Google for recipes and structured data allows Google to lay out the information in a recipe card format. So how are these search services able to present results in such an appealing way? 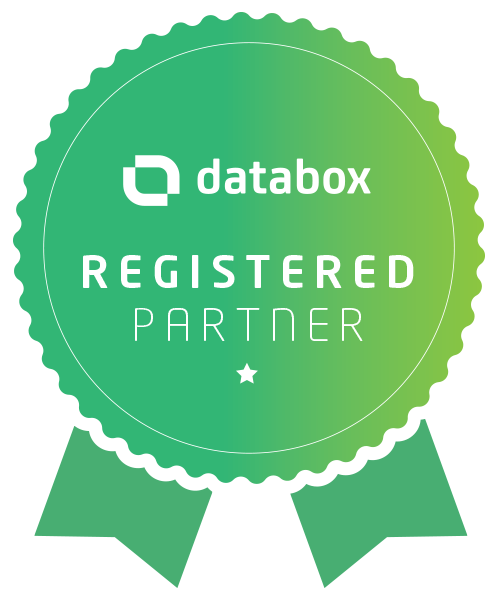 The answer is structured data. 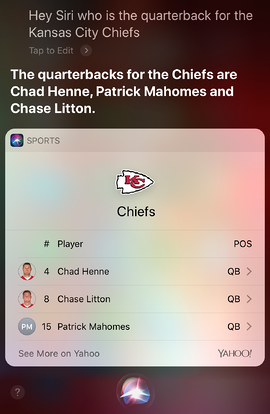 Ask Siri who the quarterback for the Kansas City Chiefs is and you will get a succinct yet informative, well-formatted answer. Operating systems can reach out to numerous different resources for information, in this example, iOS sourced Yahoo! for the requested sports information. iOS and Yahoo! retrieve the pertinent information and formats it in a useful layout for your device, thanks to structured data. After receiving the voice search request from the user, the technologies went behind the scenes, converted the recorded voice query into machine language, matched keywords to available structured data content, and was able to return the requested information. Structured data properties such as team, playerPosition, jerseyNumber, firstName and lastName enabled the voice search feature to fulfill its responsibilities for finding the correct information and presenting it in a meaningful manner. You can see how the structured data helped the search service find the proper information by being able to find the team name, and then scan related information for the player position quarterback, find the name, and jersey number, and place each bit of information into correct space in the presentation table. There are many more properties for dental practices, and many more domains available, covering numerous applications. To learn more, take a look at the organization of schemas or visit the full hierarchy of schemas. Schema has properties for things, organizations, events, people, places, projects and all the sub-schemas included below those generic, high-level properties. Structured data is a great tool for helping search engines, email clients and other applications understand your content and gracefully deliver the results to users. The use of voice search is on the rise, so it's worth the effort to make sure your content is optimized for voice search results. To recap, as you begin your foray into the world of vocal interfaces, begin optimizing your content by looking into how thoroughly your material is configured for local search results, tailor your keywords and other metadata to include conversational language, and leverage the power of structured data in order to provide machines with a better understanding of your content's meaning and how different parts of it relate to one another and to the web world at large. If you need some help, don't hesitate to reach out - by email or voice!